I will be making changes to how I communicate with friends and followers. 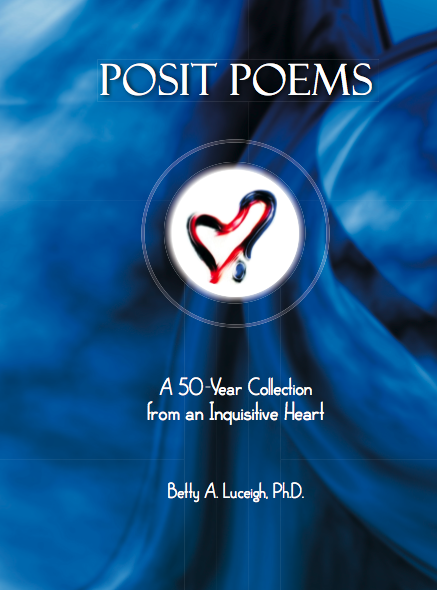 This site originated in 2011 when I wrote my book “Posit Poems: A 50-Year Collection from an Inquisitive Heart.” It has evolved to include not only information about that book, but new poems and audio/visual works. It will remain. I wrote my second book “Is It Beautiful? A Journey from Separation toward Unification” and it was published in 2017. 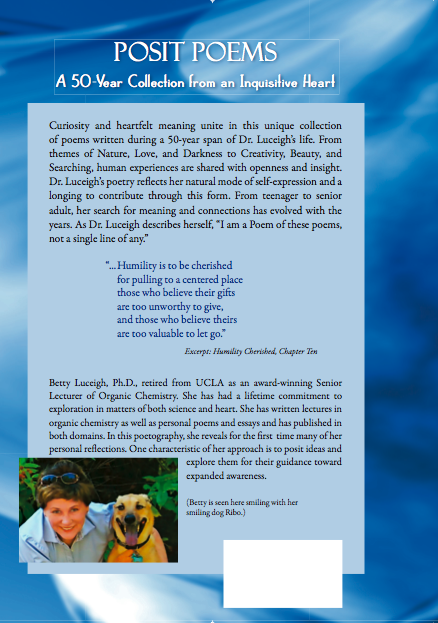 There is a website http://www.luceighbeautiful.com with basic information about that book, a video of me talking about the book, and information for purchasing. That site will remain. I will remove an Author Facebook page related to “Is It Beautiful?”. https://www.psychologytoday.com/us/blog/is-it-beautiful/201807/beauty-stabilization. You can also search for me using the magnifying glass symbol at the top of the magazine’s title page. Just type in Luceigh. I am listed in other ways on the site as well. You’ll see how it works when you visit the first blog above. I encourage you to check the whole site out. It’s filled with informative articles. My intention is to reorganize how I’m using online media for communication, so I may be combining these efforts into one webpage. That will take time, so for now, this is how I hope to continue to offer writings/poems and keep in touch with friends and followers. We are in a time of a “Great Transformation” and I believe it is very important to share ideas about what is happening within us and around us and what we can do along the way. I want to contribute to that effort. Part of what I feel must happen is to simplify, focus, identify goals, and keep the communication flowing. I am confident that as difficult as it may become, we are have an amazing opportunity to be involved in a co-creative change in humanity and its relationship to Earth and all living beings.